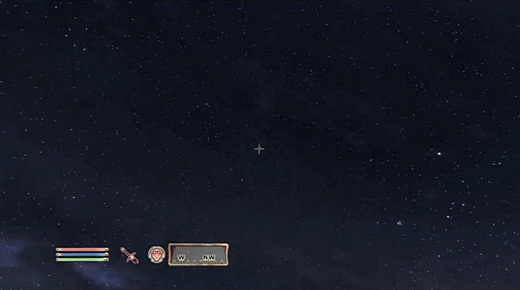 Captured PlayStation3 video from Elder Scrolls IV: Oblivion, edited to reflect the seamless passing of game time and “real” time. One minute of “real” time equals approximately 30 minutes of game time. The resulting 48 minute video records the passing of one game day. 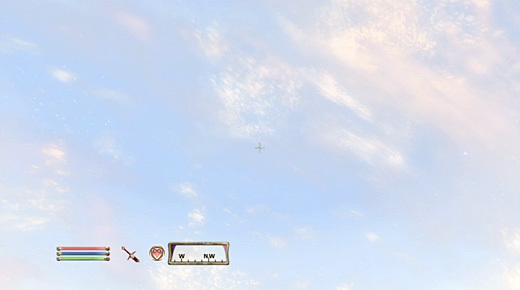 References to playable characters, AI characters, and accompanying sound effects have been edited from the video in an effort to focus on the notion of a virtual space with the possibility of non-virtual habitation, defined in part by the passing of game time during the observers "real" time. 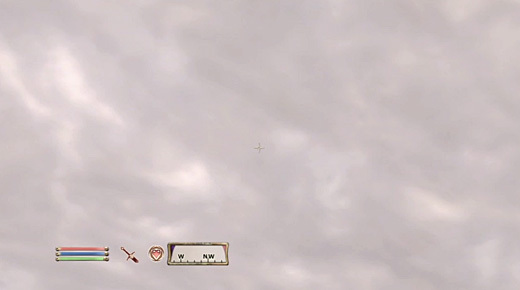 The health meter, magic meter, stamina meter, weapon and magic selections and the game compass have been unedited as a digital referent in the hyperreal environment of the game engine.